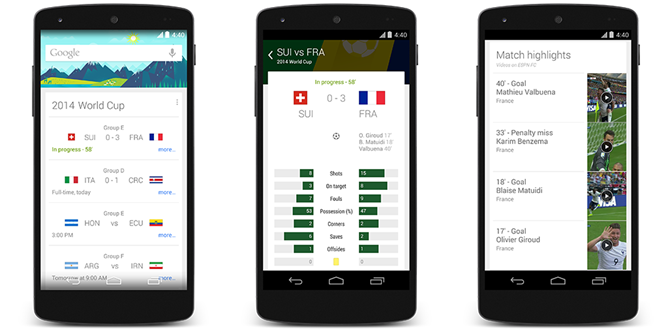 If you're in the US and looking for a convenient way to get relevant World Cup video highlights sent right to your favorite device, Google has you covered. Starting today, through a partnership with ESPN, the company will begin offering video via your regular Google Now feed. 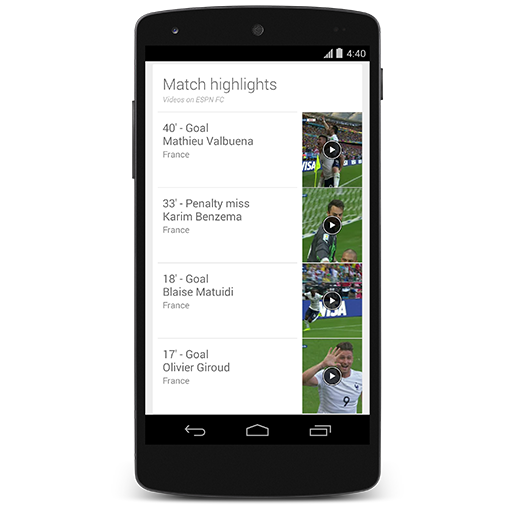 If you recall, Google did something similar last month with NBA highlights as well. This functionality should work with Google Now on any US-based Android or iOS device. As for desktop devices using Chrome, we have not been able to verify whether or not the recaps will show up there as well.